If you are treating a horse with "bad feet", it just needs the nutritional strength of Hoof Power. It provides all the essential nutrients a horse needs to have strong, tough hooves - things like Biotin, Methionine and the often-overlooked critical components Zinc, Copper and five essential Amino Acids. dl-Methionine is an important sulfur-bearing amino acid. Veterinarians recommend supplementing 6000 milligrams of dl-Methionine daily as a safe, therapeutic approach to strengthening the connective tissue proteins and improving the keratinous tissue in the hoof wall. dl-Methionine also serves as a catalyst to the proper delivery of many other nutrients within the body, thus ensuring the full utilization of Biotin, for example. 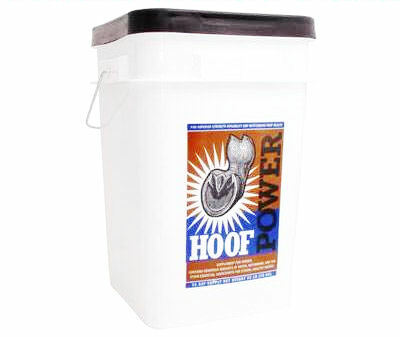 Hoof Power contains 6,447 milligrams per serving more than any other supplement on the market. Because of the combination of the digestive and metabolic enzymes in the Hoof Power formula, horses absorb more of the nutrients needed to grow strong healthy hooves. 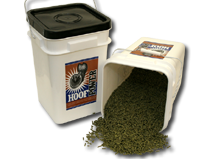 Hoof Power is a broad-spectrum supplement containing a generous amount of all the key vitamins and minerals necessary for hoof growth. Besides wonderfully strong hooves, you can expect to see other significant benefits, like a longer, fuller mane and tail and a shinier, stronger and healthier coat that’s more resistant to bacterial and fungal infections. These changes will become apparent within a few short weeks; however, it takes months to grow completely new hooves… so be patient. It will happen!